I came up with this idea by looking at the list of curves on the math website. I really like the looks of the astroid as it looks like a star. Then I did some changes to it so sometimes it looks round and other times pointy. I also wanted the colors to change and now the design sort of looks like changing microorganisms. The shapes are also enclosed by different colored strokes to make the images appear more visually appealing.The user can move the mouse to see the changing shapes. 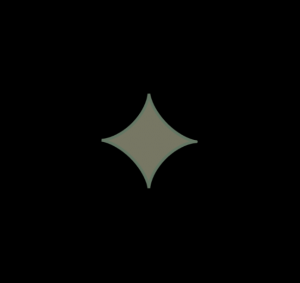 The epitrochoid curve was the only curve I could manage to understand how to make, so I started off by recreating the curve made in the example. I then wanted to make the curve grow in an more organic way. So I created a noise variable and applied that to the constraint. It wasn’t vary dynamic at that point so I experimented with adding the noise to diffrent variables and this was the result. The project I tried to create is made up of eight curves and parabola. The parameter a (the scale of the eight curves) and b (the scale of the parabolas) is controlled by the x coordinates of the mouse. The number and the rotation degree is controlled by the y coordinates of the mouse. 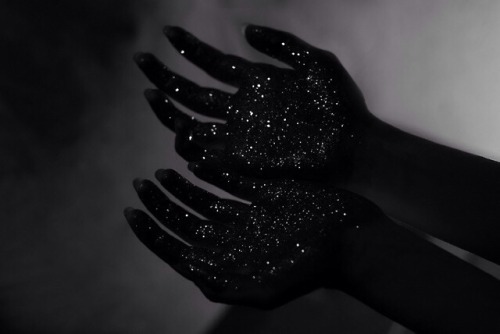 When a user moves the mouse, he/she can expect a procedure of flower blossom or a comet with its long tail. I was intended to create a kaleidoscope through the intertwine and changes of different curves. 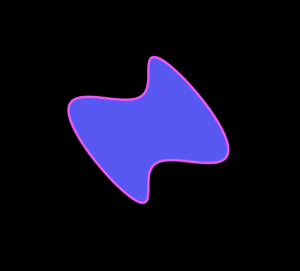 To create this shape, I looked through the curve website for an interesting curve, and used it in my code. I played around with seeing what I could effect with mouseX and mouseY, placing them in different areas to experiment and seeing exactly how the shape would change each time. I found this project a really interesting challenge, as we haven’t worked with equations like this before. It was difficult to try and understand just how to implement this in our code, and I found the examples particularly helpful to establish the base of the code- before playing around with different values to make it unique. For this project I really struggled with choosing a curve that worked. I chose a bunch that weren’t really able to move well with both the x and y values, but eventually decided on the Ellipse Evolute because it was more easily able to stretch and shrink with my mouseX and mouseY. I chose to have the background color evolve with the mouseY values and the color of the shape change with the mouseX values. This project was really intimidating at first, but once I found a curve that I thought I could replicate it became easier to understand the math behind it. 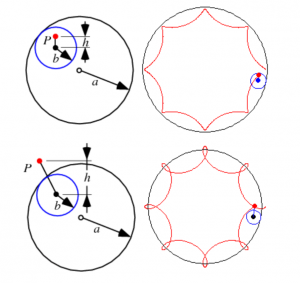 I chose to create a Epicycloid (pictured below). 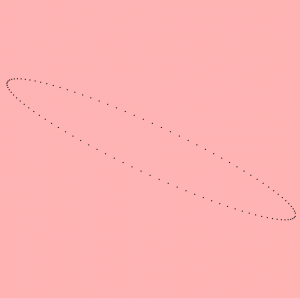 However, I didn’t really like how it created a flower like curve, so I inverted the signs of the formula (- to + and + to -) in order to have the ‘petals’ point inward. 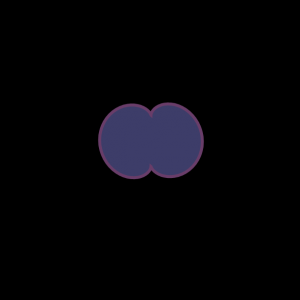 I also made the color of the curve depend on the position of the mouse and an input parameter. I chose to do multiple curves to show how the shape changed with varying stroke weight. Overall, once I got started and playing around, I actually ended up really enjoying this project. I really enjoyed playing around with the equations and variables. During the course of my experimentation, I discovered a few cool effects combining different curves, but they all looked too chaotic. In the end, I chose this one, which is more simple and resembles an interesting crystallizing effect. It consists of an array of spiky shapes, which are modifications of a deltoid equation, that accumulate as the mouse moves across the canvas. I had some trouble figuring out just exactly what I was supposed to do with the equations at first. I really hate math, so just looking at it in the beginning was throwing me off. It’s based very, very loosely off of this video (the white on black, not the actual mathematical stuff) and this image. It started off pink and with only one ring, but I decided to change all those aspects. 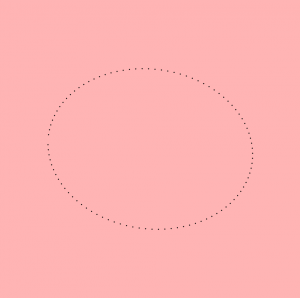 Using a hypocycloid, I made a wheel that rolls across the screen following the mouse but along a path defined by an arc. 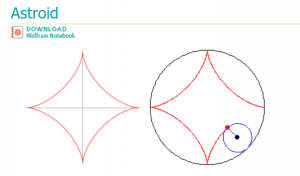 Working out the control parameters to follow the curved path proved difficult but was eventually resolved using the formula for cartesian coordinates of the points of the circle. For this project, I decided to represent the drawing of a Butterfly curve. To do so, I decided to link the draw function to a the mouseX value to give it the appearance of it ‘drawing’. The most difficult part of this was writing down the x and y equations because it involved Math operators I was unfamiliar with. Once I got the curve to draw, I implemented the changes that the mousex and mouseY would do. MouseX draws and colors the curve. MouseY also draws but smoothens the curve.